Germany and Austria have very rich Christmas traditions. Germany has given the world the Christmas tree, and many Christmas carols, while Austria has given us Silent Night. Germany and Austria are rich in their Christmas caroling traditions. Together they are the area where many Christmas carols originated, with Silent Night, perhaps the best known of all Christmas carols, having been written in Austria. 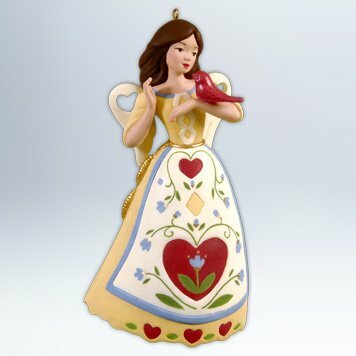 These German speaking countries have their unique culture, and their celebration of Christmas reflect their uniqueness as a region. This goes well beyond their carols, and includes the Christmas tree. My ancestry is one fourth German, specifically Bavarian. And another branch eventually also gets back to Bavaria. SO, I have an interest in this culture, the ways of some of my forefathers. The Advent wreath is used in German preparation for Christmas. 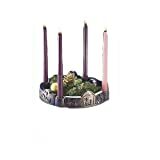 The wreath consists of three purple and one pink candle. The candles are started one at a time on the four Sundays before Christmas, with the pink candle being lighted on the third Sunday of the period. Apparently, in Germany a white candle is then lit on Christmas Day. Abbey Press "Journey to Bethlehem" Advent Wreath, 10.5"
For twenty-four days leading up to Christmas the tradition is too have wonderful fun foods like cookies. 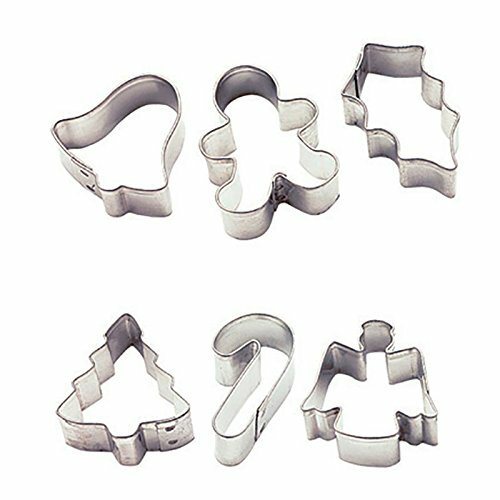 Imagine frequently baking cookies during this time. What a wonderful aroma that makes, adding to the joy of the season. And, why not add a German Chocolate cake of a Black Forest cake to the schedule? Christmas markets spring up in many European countries, and the German speaking countries are no exception. Here, small shops cater to the needs of the people during the Christmas season. They offer excellent places to find that perfect gift, or holiday food. Christmas markets are there to serve the shoppers in both Germany and Austria. The Christmas tree had its origins in Germany, and goes back to the sixteenth century, or possibly to the fifteenth century. 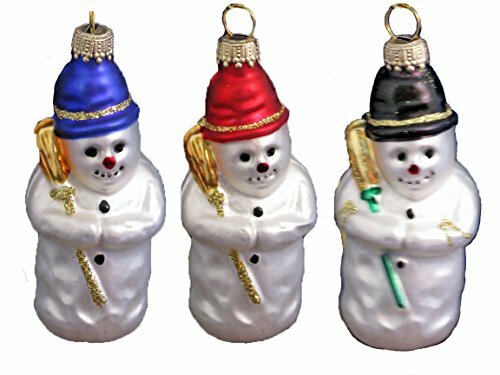 The first Christmas trees were decorated with fruit and nuts, and lighted with candles. Over the years the Christmas tree has evolved to a tree decorated with ornaments and lighted by Christmas lights, a much safer choice since candles can start fires. The Christmas tree has now spread to other parts of the world, a great gift from German culture. 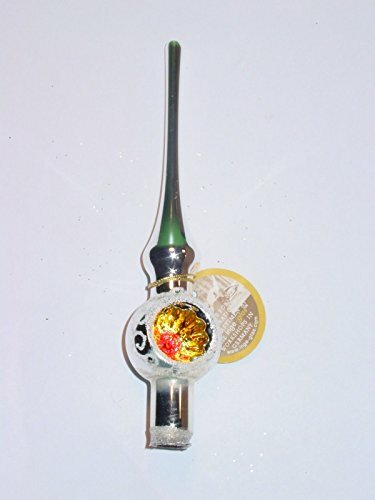 Some hand-blown Christmas ornaments used on Christmas trees today still come from Germany. 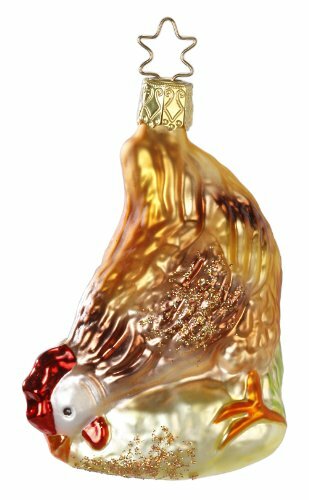 Beautiful hand-blown glass ornaments represent the artistry of the German culture. Along with the Christmas tree, the Nativity is also set out and displayed. 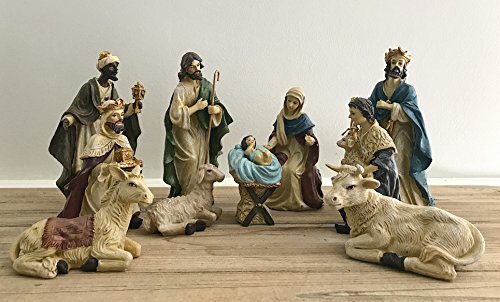 The Nativity set is not German in origin, but has been embraced by the German speaking world as a proper Christmas symbol reflecting the true meaning of Christmas to Christians. 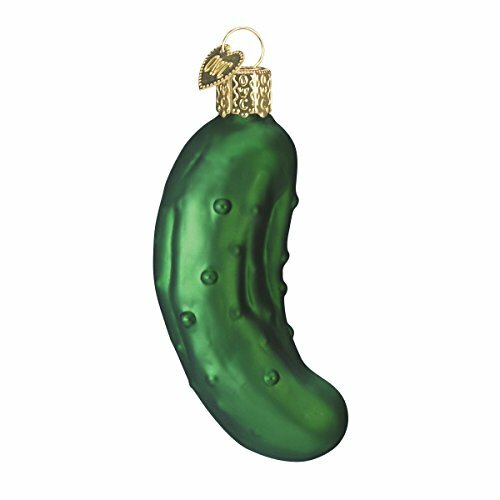 A German tradition is to hide a pickle ornament in the Christmas tree on Christmas Eve, then allow the children to search for it on Christmas morning. If you have ever taken ornaments off a tree after Christmas you know how some ornaments are easily overlooked. And, the pickle ornament is deliberately hidden. Add to that the fact that it is green, and hidden in green Christmas tree, and you can have a real interesting search. When a child finally does find the pickle ornament there is an extra gift for that child. There is really nothing magical about the pickle ornament so it cannot bestow good fortune as the tradition claims. Caroling is a German tradition, and many Christmas carols have had their origin in Germany or Austria. In fact, the most popular Christmas carol, Silent Night, comes from Austria. Stille Nacht, Heilige Nacht, which is German for silent Night, Holy Night, originated when first written in Austria by Father Joseph Mohr in 1818, and was first sung on Christmas Eve at Midnight Mass that same year. Franz Xaver Gruber composed the music for the song. In 1859, an Episcopalian priest, John Freeman Young, of Florida wrote the words now sung in English, since the German did not translate well for the medley. Many years ago I was teaching in a school run by an order of priests. As Christmas approached, the five priests and the few of the rest of us had a Christmas party at their rectory. It was a nice party with food and drink. Then, one of the priest got a gleam in his eyes as he announced it is time for German Christmas carols. One of the priests immediately got out sheet music, and the words were indeed in German. We sang in German and enjoyed the carols. Before that night I failed to realize all five of the priests had German surnames. After decorating the Christmas tree and singing carols, the family has a large dinner. The main part of this dinner is a Christmas goose, turkey or perhaps chicken. Of course a feast is also consumed on Christmas Day. Saint Nicholas brings good children gifts on the sixth of December. Since the Christ Child was introduced by Martin Luther the gifts are brought by him on Christmas Eve, a tradition embraced b Catholics as well as Lutherans. 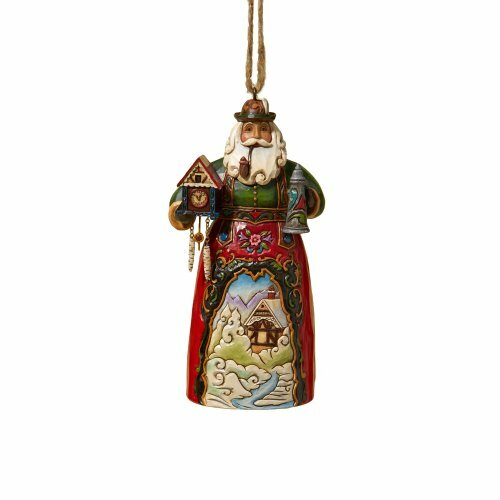 Both are forms of what we call Santa Claus throughout the world, as they originated in Germany and Austria. In fact, Santa Claus is the more secular version of these historical figures. I really enjoyed this article! I watched all your videos as well. Great picks! My ancestors came from both England and Germany, so I am interested in learning about both, as well as Canadian and French. I have some French heritage, and some of it came via Nova Scotia and others came via Quebec. I am aware that the Royal Families intermarried. English culture is linked to German culture, and the two countries would have been closer had not wars created by politicians interfered. 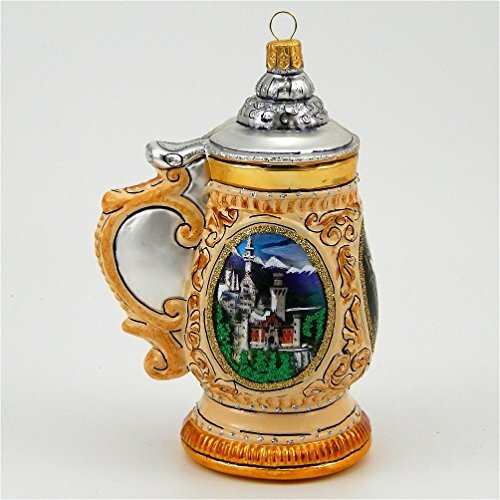 There is much to value in German and Austrian cultural traditions. When I do my Victorian Christmas workshop in schools , I always tell the pupils that in England our ideas of how to celebrate Christmas come from German traditions, many brought over by Prince Albert himself, Queen Victoria's German husband. A lovely post ; makes me quite excited already.